Trump in a series of Tweet said the Chinese market dropped 27 per cent and still both the countries are talking. "Tariffs are working far better than anyone ever anticipated. China market has dropped 27% in the last 4 months, and they are talking to us. Our market is stronger than ever, and will go up dramatically when these horrible Trade Deals are successfully renegotiated," he tweeted. 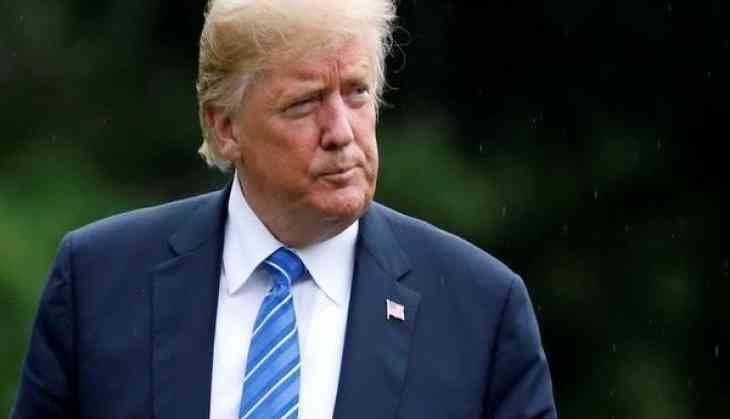 The US President, further highlighting the effectiveness of 'America First Tariffs', said that move had a positive impact on the Steel Industry. He added that several steel plants are opening all over the United States and "big Dollars are flowing into the Treasury." "Other countries use Tariffs against, but when we use them, foolish people scream!" Trump Tweeted. "Tariffs will make our country much richer than it is today. Only fools would disagree. We are using them to negotiate fair trade deals and, if countries are still unwilling to negotiate, they will pay us vast sums of money in the form of Tariffs," he added. Trump even claimed that China is "trying to convince and scare the US politicians" to fight against him. The two global superpowers have been engaged in a trade war since April 2017, when United States President Donald Trump had asked the US Commerce Department to investigate whether steel and aluminium imports from China and other countries was a matter of national security. This prompted an imposition of taxes on Chinese steel and aluminium imports. Also, tariffs on USD 34 billion worth of Chinese goods were levied last month.